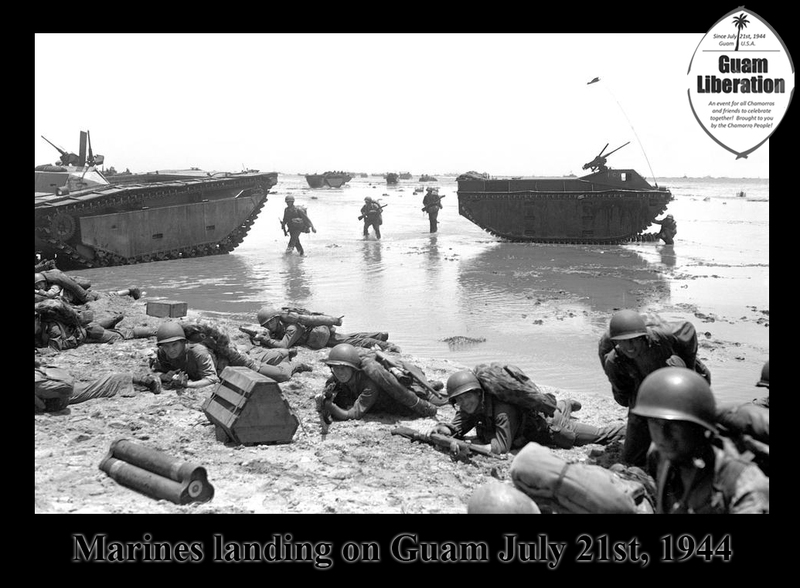 What is the Liberation of Guam about? It is the date of Guam’s Independence, July 21st 1944, from the Japanese during WWII. Guam is the largest of the Marianas, 30 miles (48 km) long and 9 miles (14 km) wide. It had been a United States possession since its capture from Spain in 1898 until it was captured by the Japanese on December 10, 1941, following the Attack on Pearl Harbor. It was not as heavily fortified as the other Mariana Islands such as Saipan that had been Japanese possessions since the end of World War I, but by 1944 it had a large Japanese garrison. The Allied plan for the invasion of the Marianas called for heavy preliminary bombardment, first by carrier aircraft and planes based in the Marshall Islands to the east, then once air superiority was gained, close bombardment by battleships. Guam was chosen as a target because its large size made it suitable as a base for supporting the next stage of operations towards the Philippines, Taiwan and the Ryukyu Islands; the deep-water harbor at Apra was suitable for the largest ships; and the two airfields would be suitable for B-29 Superfortress bombers. The invasion of Saipan was scheduled for June 15, 1944, with landings on Guam tentatively set for June 18. The original timetable was optimistic, however. A large Japanese carrier attack and stubborn resistance by the unexpectedly large garrison on Saipan led to the invasion of Guam being postponed for a month. You can read more on Wikipedia or clicking here.